Have a question for Koh Chang Thai Garden Hill Resort? "Ideal mid budget hotel very clean and staff very nice would definitely stay there again"
"Very nice highly recommended biggest pool for 3star hotel nice staff near beach very nice balcony rooms"
"Advatages: - great location (near Chai Chet Beach) - bike rent without any docs ;"
"The Koh Chang Thai Garden Hill Resort is an amazing place wi..."
When visiting Koh Chang, you'll feel right at home at Koh Chang Thai Garden Hill Resort, which offers quality accommodation and great service. From here, guests can enjoy easy access to all that the lively city has to offer. With the city's main attractions such as Koh Chang Offroad ATV Tour, Bodiwork Spa at Koh Chang Paradise Resort, Chamois Collection within close reach, visitors to the hotel will just love its location. 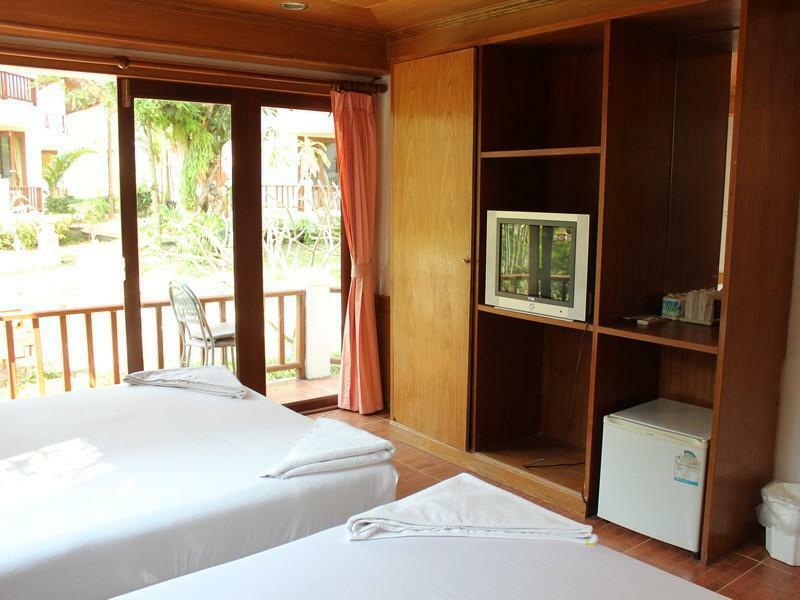 Koh Chang Thai Garden Hill Resort offers impeccable service and all the essential amenities to invigorate travelers. While lodging at this wonderful property, guests can enjoy free Wi-Fi in all rooms, 24-hour front desk, Wi-Fi in public areas, car park, room service. Experience high quality room facilities during your stay here. Some rooms include towels, internet access – wireless, internet access – wireless (complimentary), non smoking rooms, air conditioning, provided to help guests recharge after a long day. The hotel offers fantastic facilities, including outdoor pool, pool (kids), garden, to help you unwind after an action-packed day in the city. Whatever your reason for visiting Koh Chang, the Koh Chang Thai Garden Hill Resort is the perfect venue for an exhilarating and exciting break away. "The Lady Boy staff were very upfront." Maximum of 3 children are allowed to stay in Twin Bed room types. I enjoyed my stay very much. Its not situated close to the beach but its just a 10min footwalk and you have everything around there. Very calm and relaxing place. Very nice pool. Choose between 6 different kind of breakfast. Cheep motorbikes for rent in good condition. Scandinavian divers are not far away.For me it was the best accom while my entire holiday... booked to my 7 nights 2 additional nights. Room was very dirty and when we arrived there was still old baby diapers left in our room, the safe didn't work but they had one in reception they offed to put our things in. i wouldn't recommend this hotel. 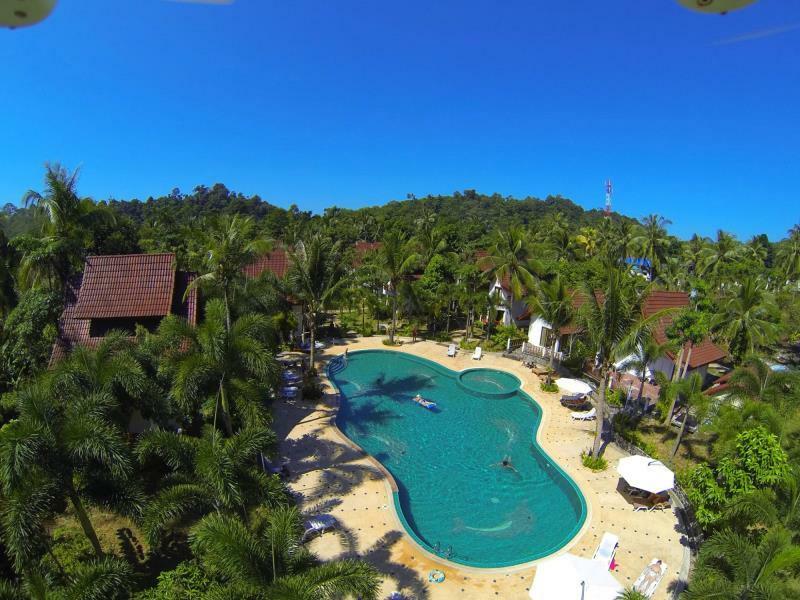 The Koh Chang Thai Garden Hill Resort is an amazing place with a beautiful territory. The pool is large and deep enough. The place is pretty close to local bars and pubs. Also there is a motor-bike rental which can offer new motor-bike in excellent condition. Easy to get to White Sand Beach and Lonely Beach as well. Staff are very pleasant and benevolent. Breakfast is good. Recommended for single travelers and couples. We stayed in the big twin bed room. The room was extremely bare bone with very ancient furniture. Shower room was also extremely simple just like an economy guest house. The location isn't too near the beach. You have to walk on a two lane very busy highway about 10-15 minutes to get to the beach. At night walking on this speeding and dark high way with children to get to restaurants and shops is not a very safe option. The breakfast was a set you choose from a simple menu. Wifi works alright but the room was really dark. The good thing is that we only saw 1 or 2 mozzies in the room in 3 days but saw a few other non-biting insets. Conclusion is if you are with young children and without car, I don't recommend to stay here because walking with young kids on that only speeding highway does not seem too safe to me day or night. If you have a car to move around, then this is one of the more economy options. Nice resort but looking a little run down , broken lights , flaking paint , pool not clear ,etc . Pleasant staff and good breakfast . Take a electrical extension as only one outlet near the door . Good location if have transport if not beware the lady boy bars nearby ! Advatages: - great location (near Chai Chet Beach) - bike rent without any docs ;))) 200 baht a day - nice pool, garden and surrounding area - friendly staff & helpful lady @ tourist info box - tasty breakfast and tasty meals in the cafe - free tea and coffee during the day Disadvatages - not 100% clean sheets and towels Thank you, Thai Garden Hill Resort for our best holiday! 5 STARS! It is is a really nice resort with friendly staff and a nice pool. There is everything nearby what you need, restaurants, bars, small shops where you can buy some beverages and also chai chet is not far away only 5 minutes by walk. I enjoy it a lot. Spend much time on relaxing. Room were clean and comfortable. I was solo but very good for couples and families also (they have different rooms). Little far to sea but for me it wasnt much important ( in this price...). They got huge pool! The location is a bit far from white sands where people usually go (one way fare is 50 baht). The rooms are fine and they clean it everyday! What I appreciate the most is the staff, they're very welcoming! They're so warm and genuinely greet their guests! Keep it up! Quiet, comfortable and clean. The hotel is a five minute walk from Khlong Prao beach. Thai chalet style rooms and a really nice pool for lazy days. Breakfast is included and the staff are very friendly and speak excellent English. The bungalows inside are visibly old clearly need renewal. The table in front of the mirror stinks of rotten, TV and fridge of the 90s, Linen a bit dirty with blood and who knows what else liquid, The light jumped 5 times, at least the staff repaired the problem in no time. The sfaff is polite and friendly, Motorbikes are ok, Breakfast is fine for that price, Swimmingpool is well maintained. I paid in the off season 700bhat. I think is a good price and the max I can give so far even in the high season. For that price there are better resort. I stayed 8 days at this resort with my 8 yrs old daughter. We liked the pool and staff is very friendly but with limited English. I was disappointed with location cause you need to spend money on taxi to go into more touristy places or to see anything. taxi to lonely beach is 200 bhat and to white sand beach 100 per 50 , and kai bea 100 bhat. there is beach by coconut resort which is about 10 min walk along the busy road. Beach is nice and I was satisfied to be there instead of going to bigger, busier places. The Lady Boy staff were very upfront. I was here with my girlfriend, and they made a few comments that were very uncomfortable. В целом неплохо. Расположение так себе - рядом мало что есть. Бассейн без охлаждения - работает наоборот: залезаете, нагреваетесь в нём, а когда выходите вам прохладно! It is is a really nice resort with friendly staff and a nuce pool. There is everything nearby what you , restaurants, bars and also chai chet is only 5 minutes away by walk. It was a great hotel. Garden was so beautiful. I'd like to stay again if i visit one more time! Booked through Agoda and then found out upon check-in that the booking was done through booking.com, not a big deal.The resort is old and rundown. Not close to anything except a ladyboy bar which is directly across the street. They don't have a pool bar and the lighting inside the pool doesn't work at night and the so called restaurant closes at 5pm. They charge you 3% if paying your hotel bill by credit card. I could go on with more but i won't bother Would never in a million years stay at this resort again. It could be a perfect inexpensive resort. Nice swimming pool, beautiful tropical garden, quiet location (if you manage to stay in a bungalow closer to pool than to road), not really far from the beach, shopping and restaurants. Cozy rooms with all essential facilities (though not luxury because of the price). BUT! There is a real problem with ecology as sometimes there's a breeze which brings an awful smell from island's public garbage dump. What a pity! That's not a fault of the management of the resort but a problem of the whole area. Hope that island's authorities will sort it out.